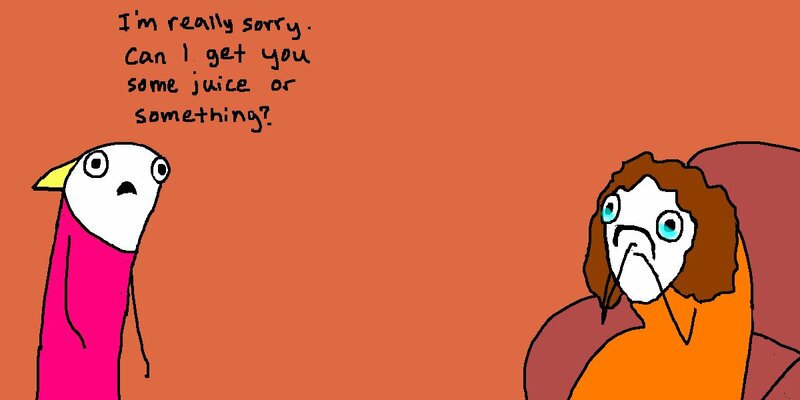 The everyday struggles that many young people face living as grown-ups are being turned into popular graphic narratives. There comes a time when you are suddenly seen as an adult. You're definitely not ready for it and you feel like you barely got any warning, but there it is – you're an adult. Deal with it. Author and illustrator Andersen's first book, which was released in March, accurately sums up the struggles we all face when forced to enter the "real world" and buckle up for the roller coaster that is adulthood. 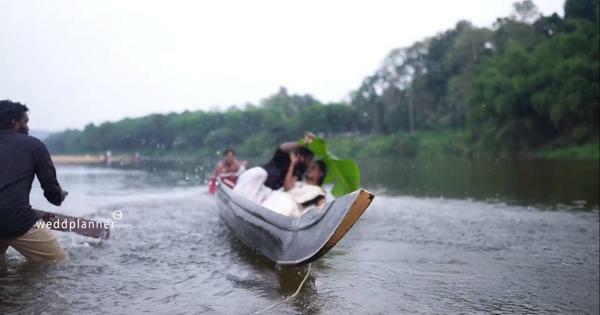 For most of us it's somewhere around the time we hit our 20s and go from having everything taken care of for us to doing it ourselves (translation: trying to not have a melt down on a daily basis). 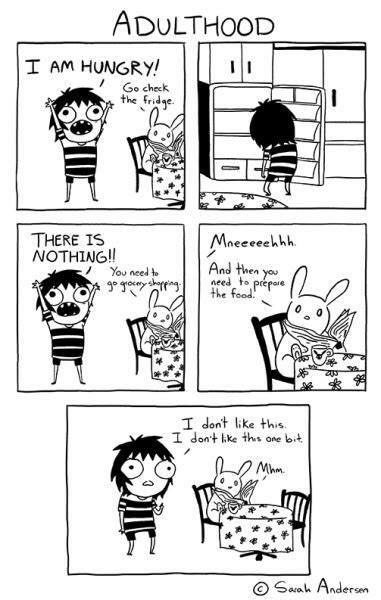 Andersen's book started life as a webcomic titled Sarah's Scribbles, and follows the adventures of the messy haired, awkward and highly relatable protagonist as she takes on the world (well, in a sense), dealing with social anxiety, body image issues and laziness along the way with her pet rabbit by her side at all times. 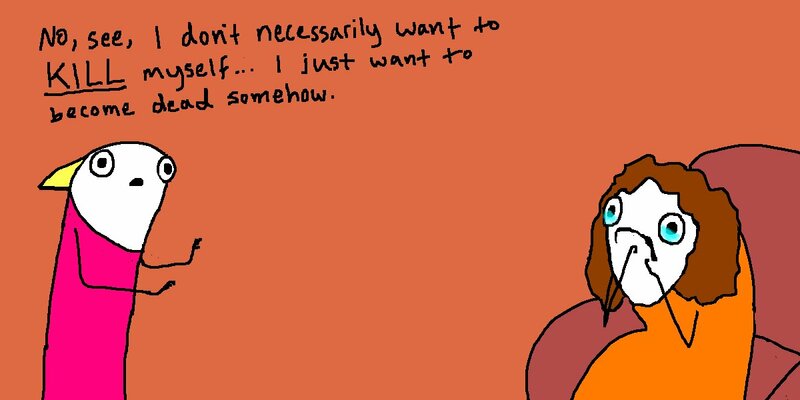 It is a comic everyone needs to read to realise that they are not alone, and that "adulting" is awkward for everyone attempting it. 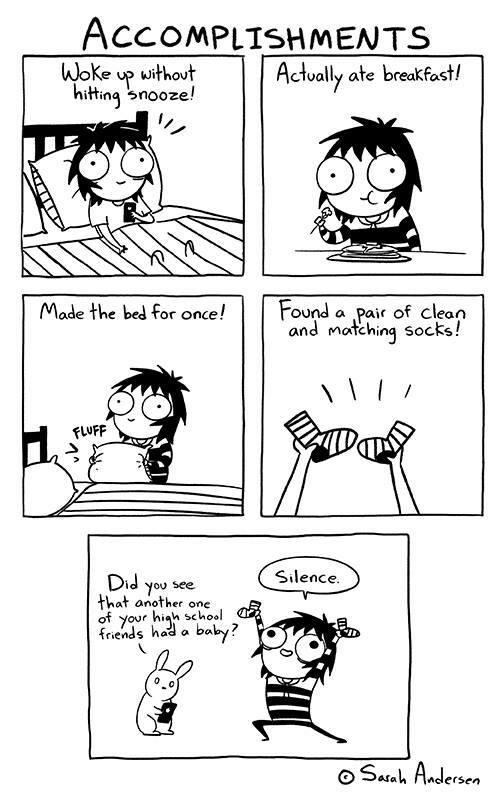 In the past we've seen works by cartoonists like Allie Brosh, Gemma Correll and Brian Gordon take on similar issues: the horrors of everyday life that most post-millennials just about manage to live through – whether it is dealing with social interactions (which always have the potential of going horribly wrong) or the challenges of parenthood (shudder!). 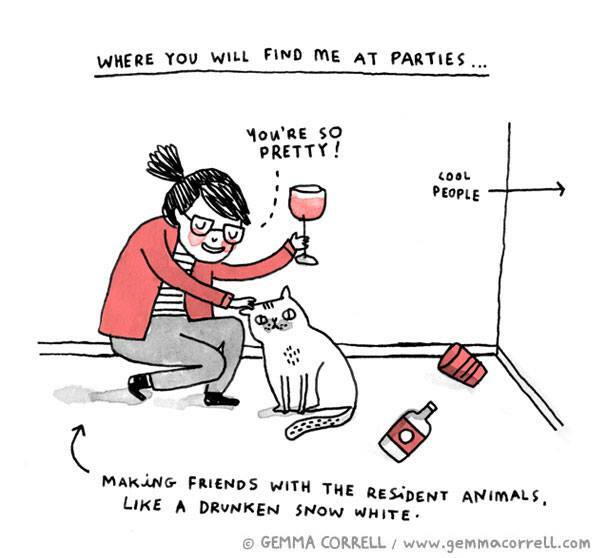 Cartoonist and self-proclaimed "champion overthinker" Gemma Correll has been dealing with anxiety issues all her life, learning to laugh at them over the years. 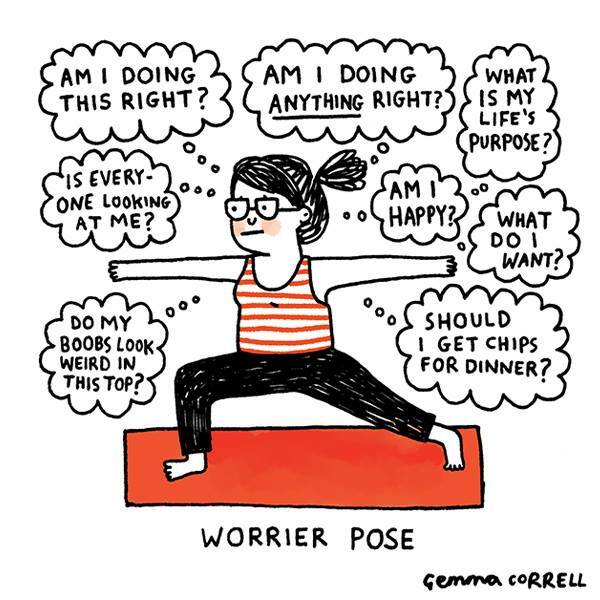 There's a lot to worry about in this competitive, fast-paced world, and in her book The Worrier's Guide To Life, Correll manages to capture every moment of self doubt and debilitating social fear that most experience on a regular basis. The heart wants what it wants, but the brain sure as hell will try to make responsible decisions. They might fight, but they're still friends. 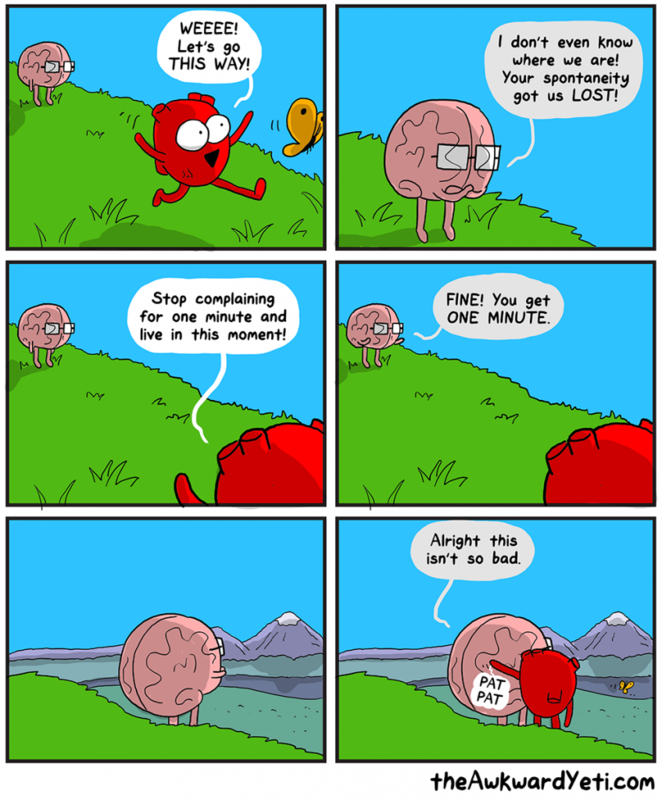 Webcomic Heart And Brain depicts the relationship between these two vital emotional organs and their equation with the others. As you grow up, the brain takes precedence over your heart's desires and you must choose responsibility over a walk in the park. 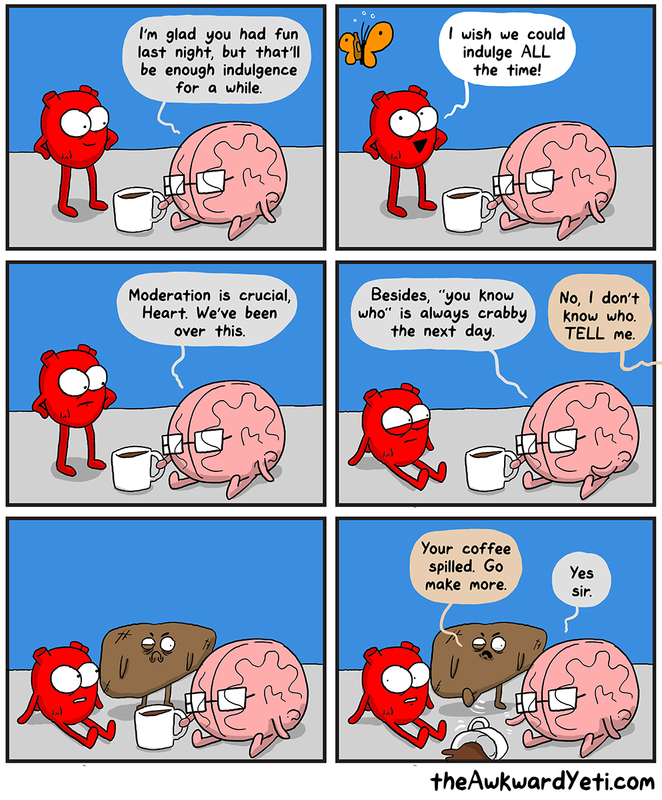 The webcomic by Awkward Yeti tells you that it is okay to let the heart win sometimes. Approaching the business of living (and dying) with a twisted sense of humour, Allie Brosh started blogging in the form of comic strips about growing up with depression and other incidents from her life. The source of many internet memes, Hyperbole And A Half reads like an account of an adult still living in the curious (and strange) mind of a child. 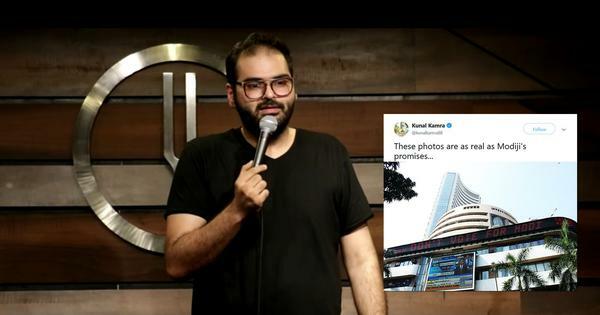 Her blog is fuelled by her darkly comic view of the world – something she is constantly apologising for to the people around her. 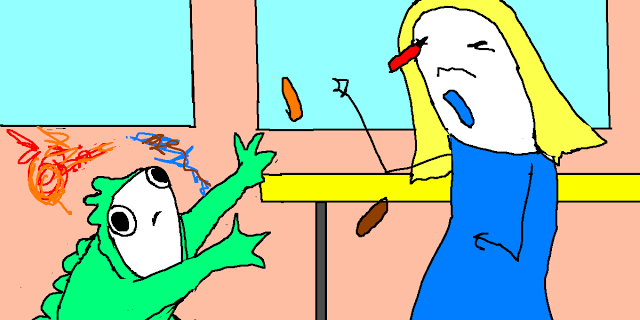 And while Brosh depicts herself as an odd outsider, we can all relate to her struggles. By way of explanation for all the mishaps and adventures she gets herself into, Brosh writes on her blog: "I was a horrible, mischievous child who lived in the backwoods of North Idaho and had very little to occupy myself outside of causing trouble. Also, I'm impulsive. 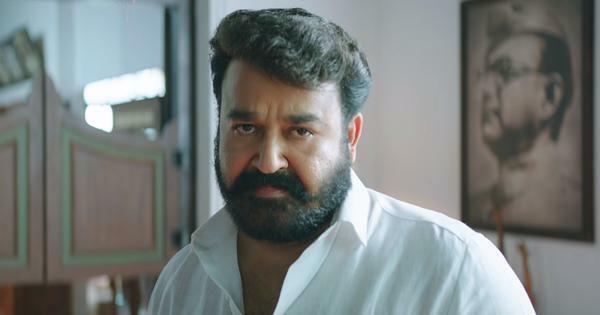 I just seem to draw chaos toward myself". True enough, her latest post has a four-year-old Brosh dressed like a dinosaur for Halloween. Inevitably, all hell breaks loose as she goes on a power rampage, gets sent home from school, eats her weight in sugar, colours the the walls of her house with crayons, eats toothpaste, and ends the day watching her parents burn the dinosaur costume. You made it through your 20s with your sanity intact. Congratulations! You procreated and now you're a parent! Congratulations (translation: oh, crap)! 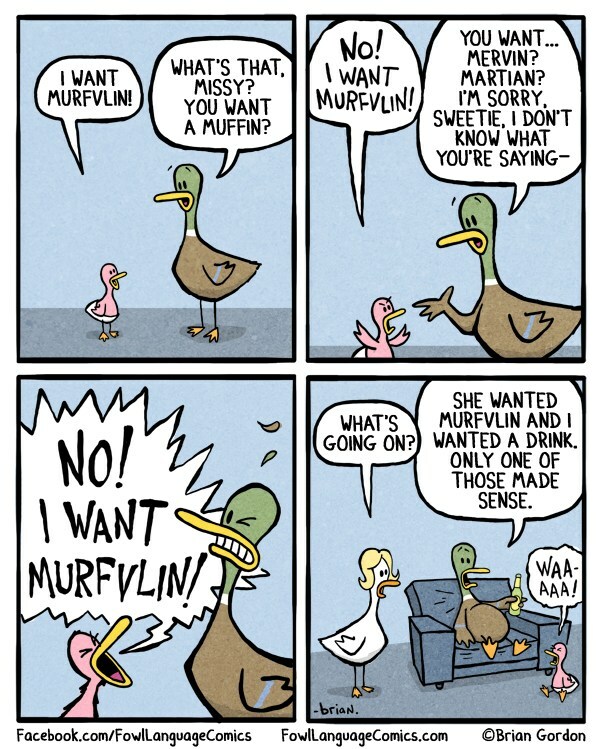 Illustrator Brian Gordon's webcomic Fowl Language expresses this very sentiment through the (mis)adventures of a duck family. 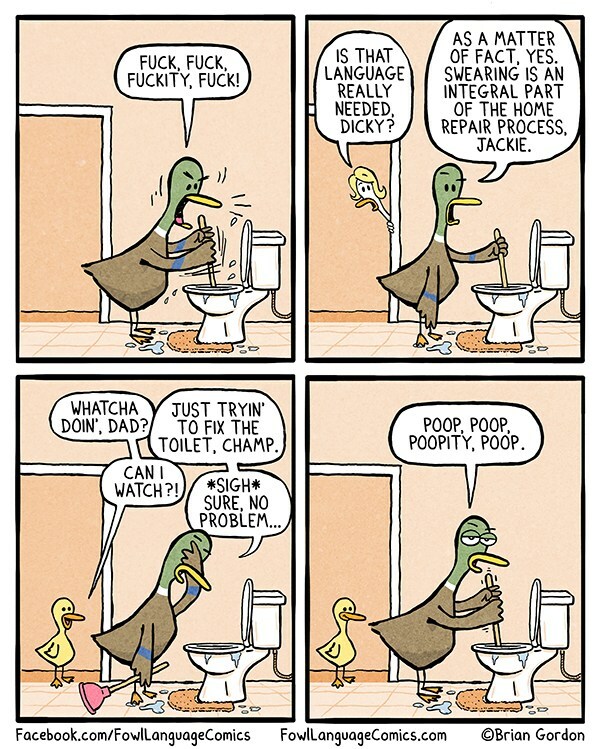 Dealing with the challenges of parenthood and all the joys (and horrors) that come with it, Fowl Language follows Dicky the duck as he tries to embrace being a dad. Inspired by Gordon's own experiences as a father and "a constant, crushing wave of self-doubt and anxiety", Fowl Language is a must read for every modern day parent.